Sencha Touch – a mobile application development framework that is introduced to develop smartphone application with richer user experience. Today, more than 50% of the world’s population owns the smartphone and it is believed that the figure is gradually increasing day-by-day. The smartphone apps are very complex to build because there are varieties of platforms. Hence, developing the application has become the challenging task, especially feature-rich as well as without any complexity issue. 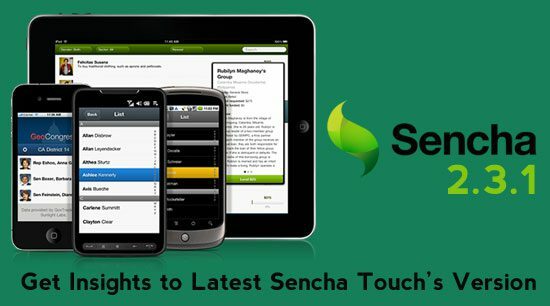 To cater all these problems, Sencha Touch industry has released “Sench Touch” mobile framework. Sencha Touch is HTML5 based framework that offers easy application development, having superb User Experience and compatible with major platforms such as Window Phone, iOS, BlackBerry, Android, and lots more. With the huge success of Sencha touch framework, the industry has now launched the latest version of Sencha Touch that is Sencha 2.3.1. Sencha 2.3.1 has been installed with HTML5 based framework. That helps in developing application with great interface that in addition provides world-class User Experience. Sencha 2.3.1 framework avails developer to develop the application loaded smoothly with Fluid animation, smooth scrolling as well. There are various carousels, lists, and other components available in this framework, integrated with scrolling having high-frame rate. Sencha 2.3.1 is integrated with HTML5 framework. And, hence application development on this framework can easily load, respond as well as adjust on the mobile screen swiftly with perfect pixel layout. Sencha 2.3.1- completely supports native API component that is “Apache Cordova “. 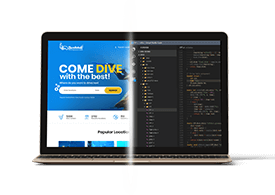 This feature avails developer to code the application that can employ the advanced feature of the smartphone such as InAppBrowser, Splashscreen, Storage, Contact, Media, Connection, Notification, Geolocation, Compass, Events, File, Globalization, and lots more. Sencha 2.3.1 has also included support for Adobe PhoneGap Build. Sencha 2.3.1 has been integrated with lots of Carousal and themes that offer application developer to code multiple swayable display menus. This will ensure greater user experience as well as enabled users to easily swipe the screen for running the application. Apart from all these, Sencha 2.3.1 has lots of theme enhancing the display screen for the latest smartphone devices. There is an all new “Progressindicator” component. That signal users about loading. The Cupertino and Mountain View are the latest theme that included in Sencha 2.3.1 theme’s list. There are some more features that have been enabled like Component Data view, navigation view (transitional effects at navigation) as well. It is believed that Sencha 2.3.1 with such a powerful and amazing feature will become the top-notch choice for mobile application development industries all over the world. Hope that you all now are aware about Sencha Touch latest framework, if you find any problem with this blog,then writes at the comment section given below.